This is my walk to the bookshelf, first choice pick every time, when I want to read something I don’t have to think about. When I just want to be transported off to somewhere else entirely, without really having to think about it. I wonder if you’ve already guessed, given some of the earlier posts? ‘Tis Harry Potter – again! 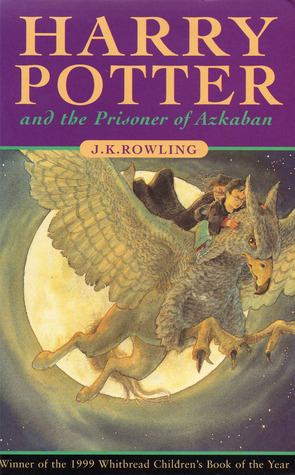 My favourite of the series is The Prisoner of Azkaban – it has the mystery and fun of the ‘young’ Harry books, but because we’ve been there twice already, I think the development of the wizarding world is more encompassing in this book. I love the twist that comes with Lupin and Padfoot – And Scabbers? I don’t believe it! This is also the last book I felt that school is still quite fun and, possibly, innocent for Harry. Even with dementors at the gates and a crazed killer on the loose, getting to Hogsmeade and Honeydukes sweet shop is still pretty high up on Harry’s to-do list. Perhaps because I felt like this about the book, I disliked the film on first viewing: it’s a lot darker than I felt it needed to be – we knew things were going to go down hill, but it was a bit more of a ‘sunset’ book than the shadowy world the film gave. On subsequent viewings, I’ll admit it has grown on me: I like the school banter and Malfoy’s manly screams when he’s attacked by Buckbeak – the classes do seem more like that official ‘first teenage year’ age group than I gave them credit for on first viewing. It was just too short – skipping over some of my favourite bits from the book (I love the Marauders Map) and the first run-through of the twists was too quick – blink and you miss-it moments for anyone not familiar with the story. I actually watched the film of this over the weekend and now, after writing this, I feel like going over to the bookshelf and taking it down to read. Again. This entry was posted in General and tagged 30-day challenge, comfort reading, harry potter, prisoner of azkaban on March 13, 2014 by mel. I like how they introduced the marauders map in this one. 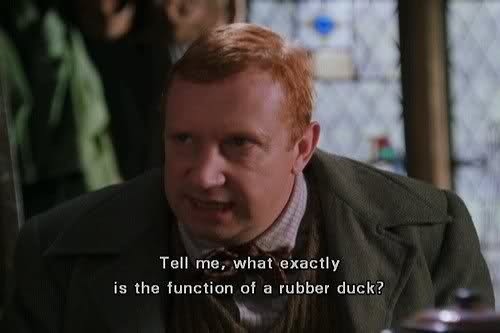 POA is not my fav book of the series but there are moments that I enjoy in the book and film. Which is your fave HP? Oh yes, the world cup and the triwizard expanded the wizarding world across borders. POA is actually my favourite of the films. Great scenery-chewing acting from Rickman, Thewlis and Oldman; actors giving it their all. The time-turning plot is fun as well. The Dementors are a wonderful dark touch, visualised so well. I think POA has grown on me, but when something has been your favourite and you look forward to seeing it come to life on the screen, when it doesn’t meet your expectations that tends to stick with you. I thought it reflected more of the darkness from later in the series than had actually been present in the book itself. The third book in the series was a favourite of mine for a long time, I think it switched to the fifth one at some point though. I didn’t think the film did it justice at all, I was so disappointed!